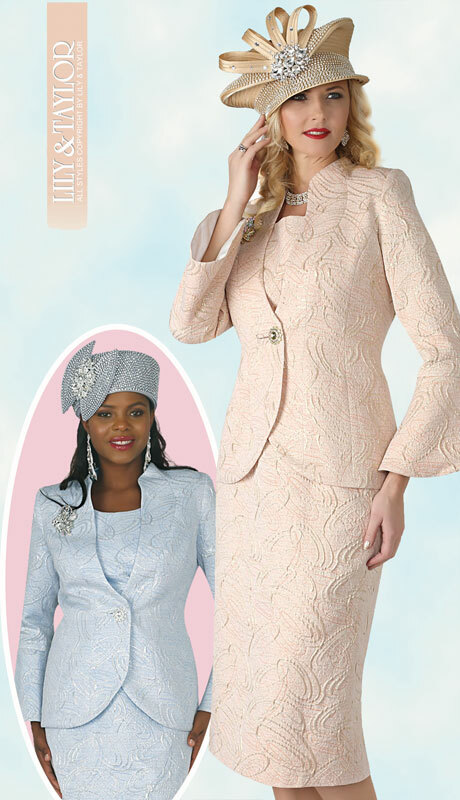 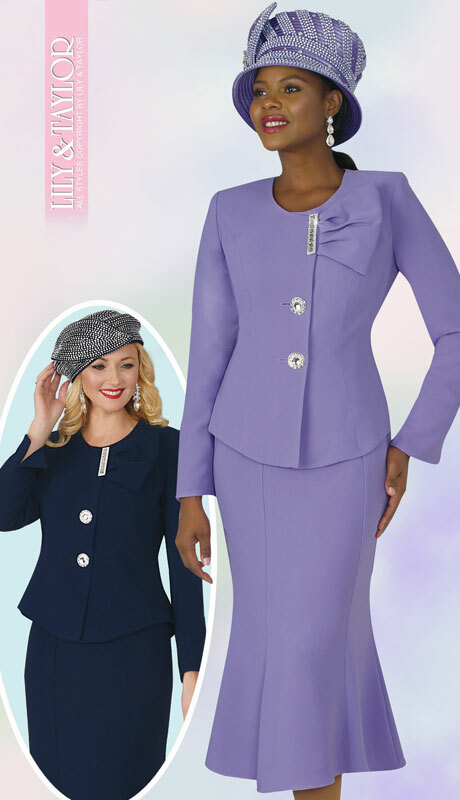 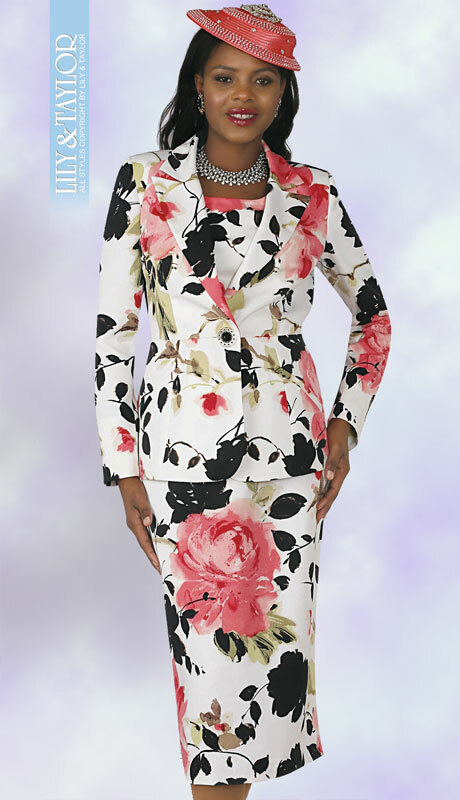 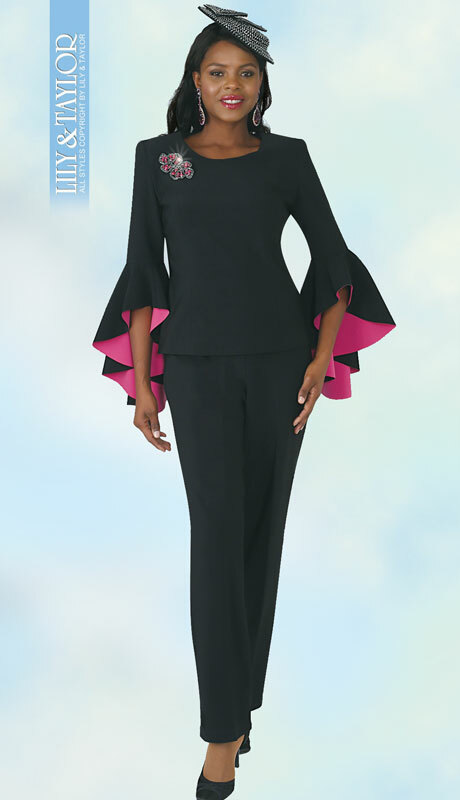 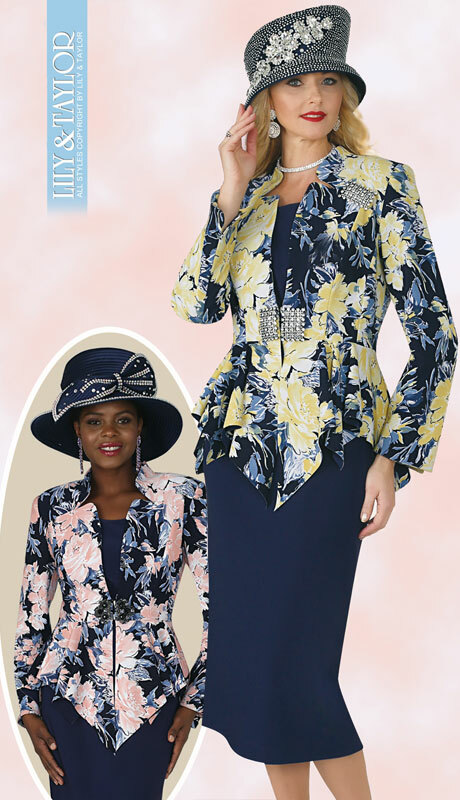 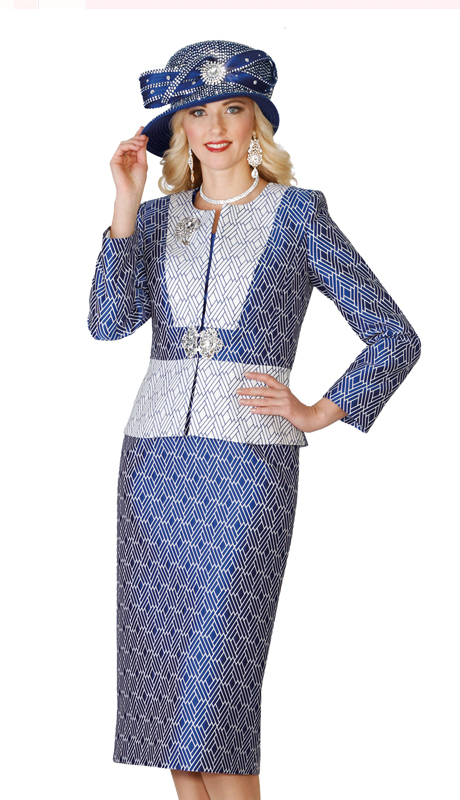 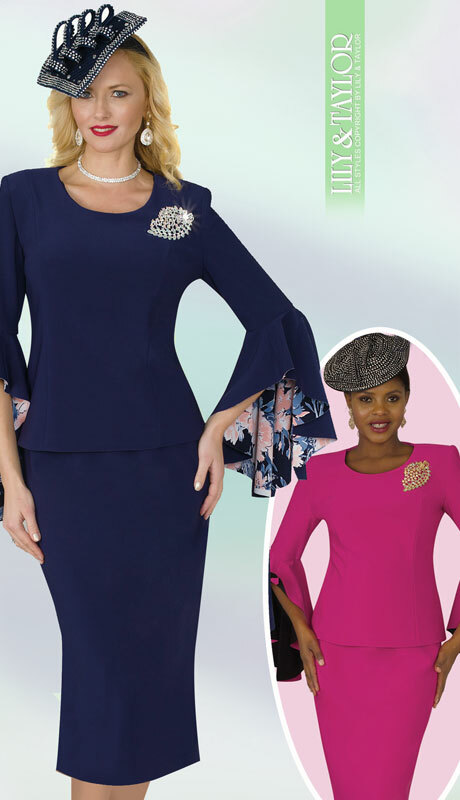 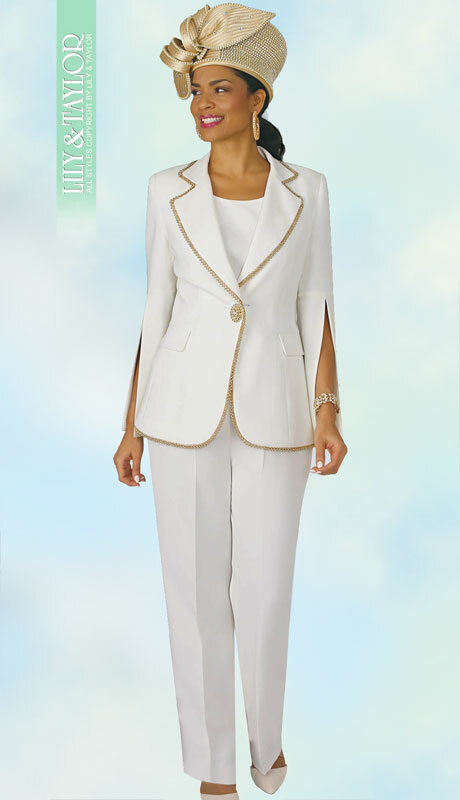 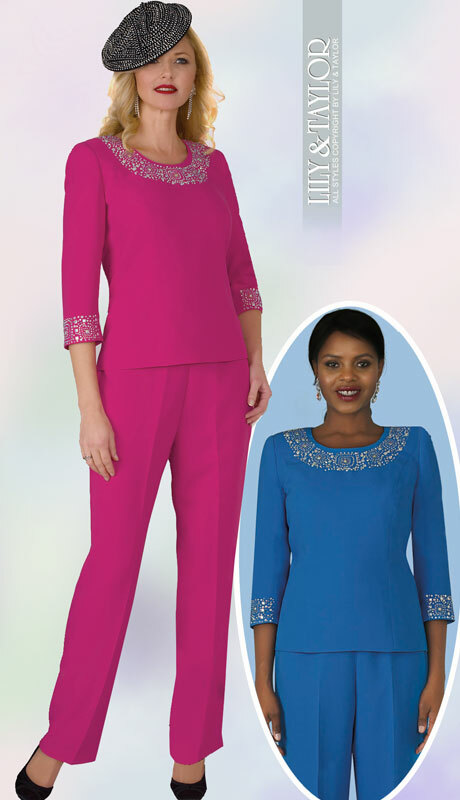 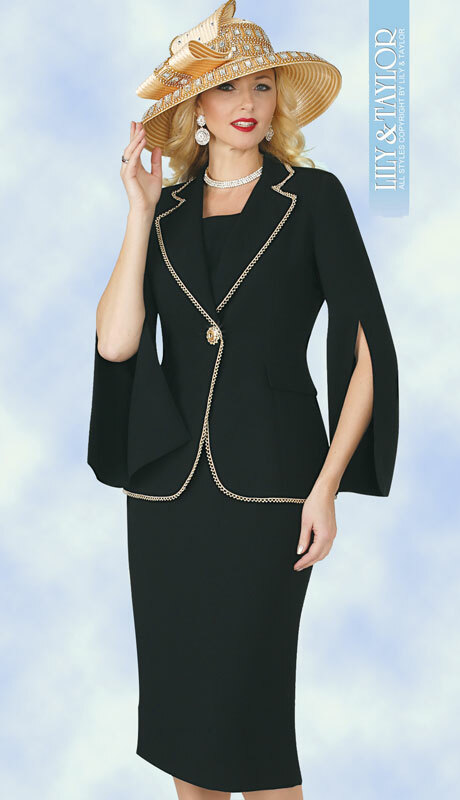 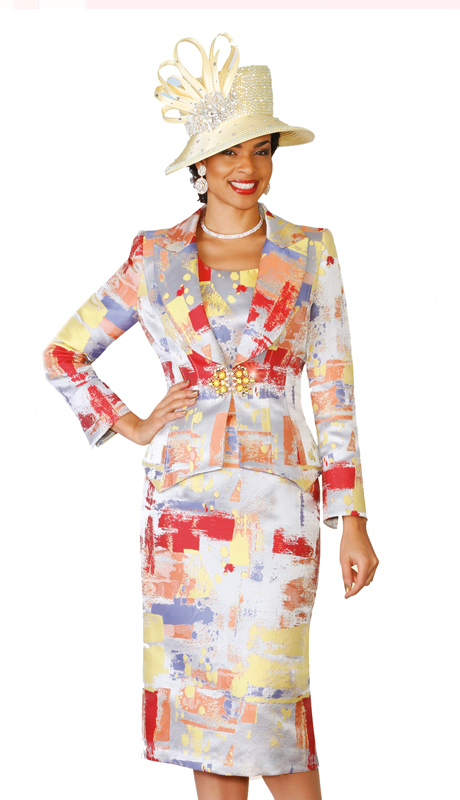 Please browse our huge selection of Lily and Taylor Suits today and enjoy the brilliance and uniqueness of these extravagant designs. 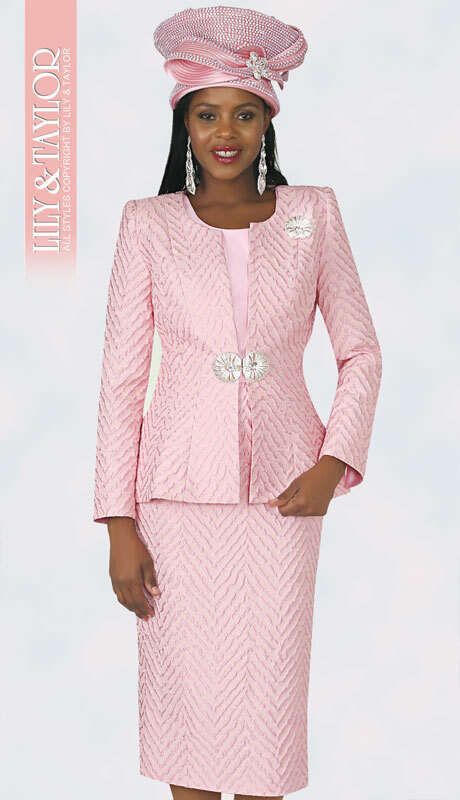 Lily and Taylor is a top designer brand that is driven by a selfless motivation always to do more in pursuit of fashion perfection. 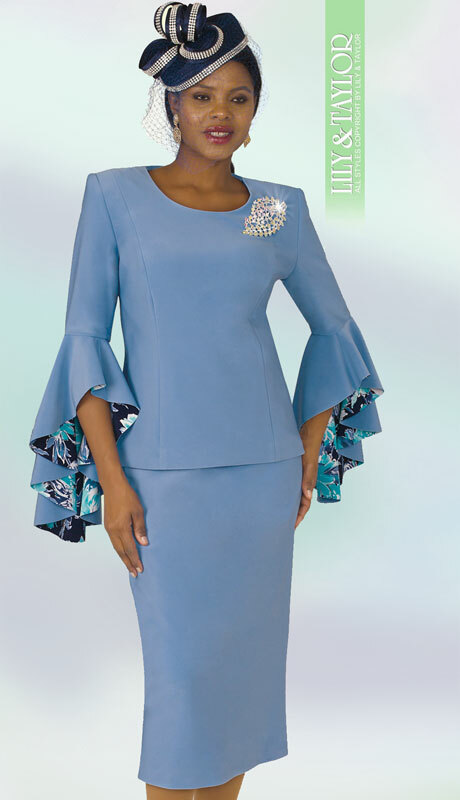 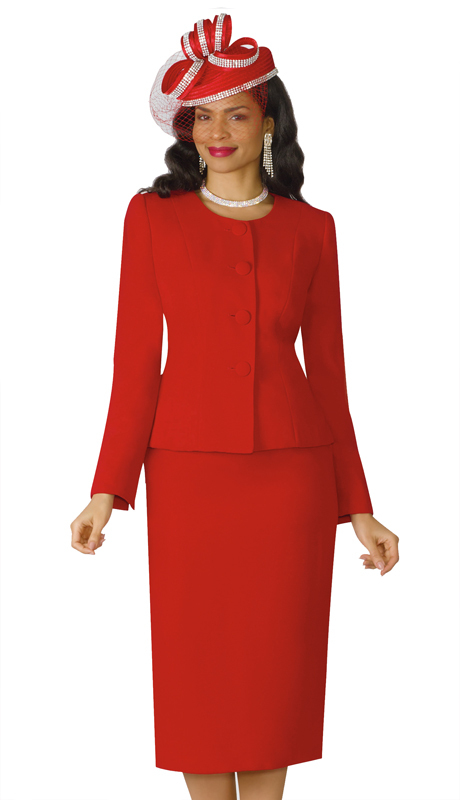 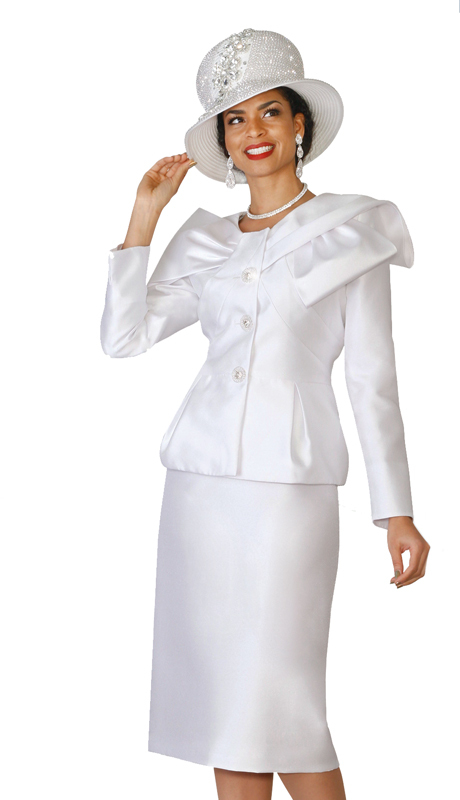 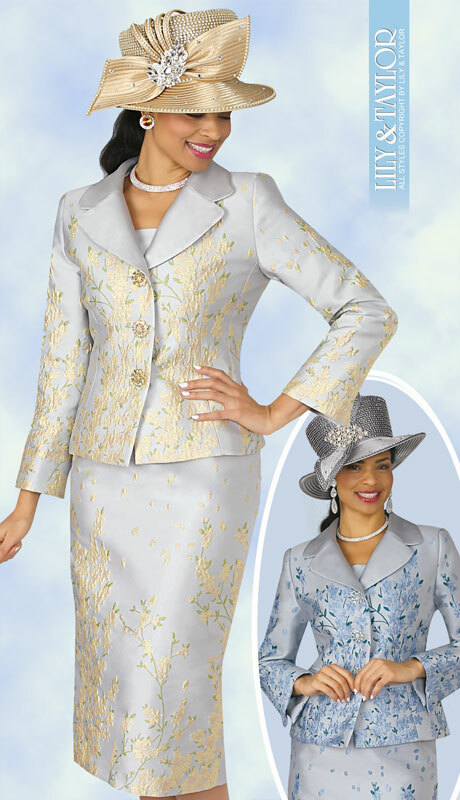 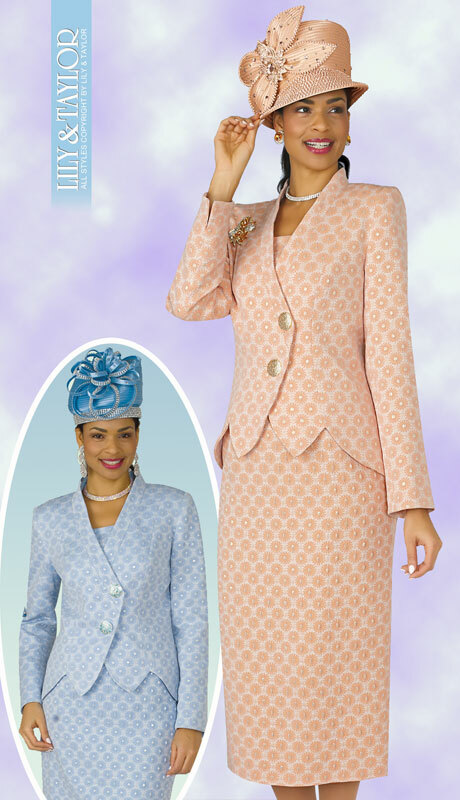 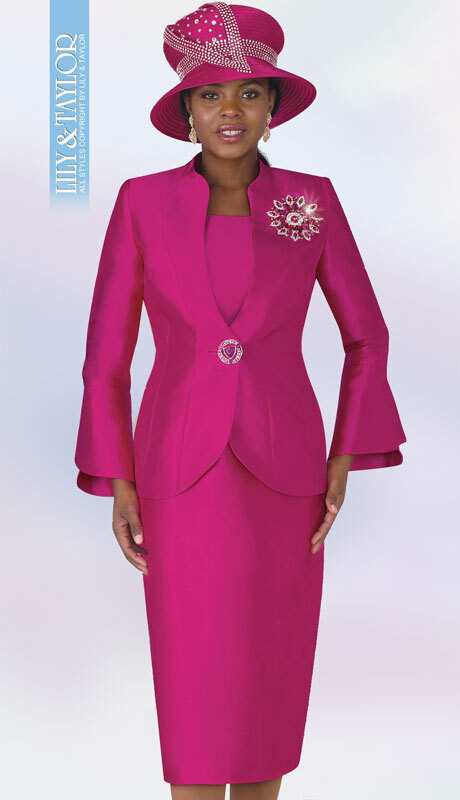 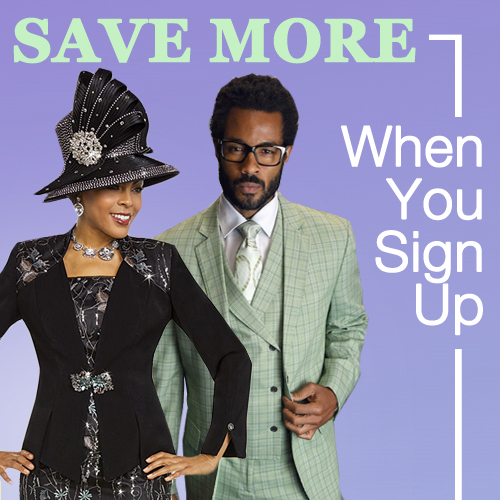 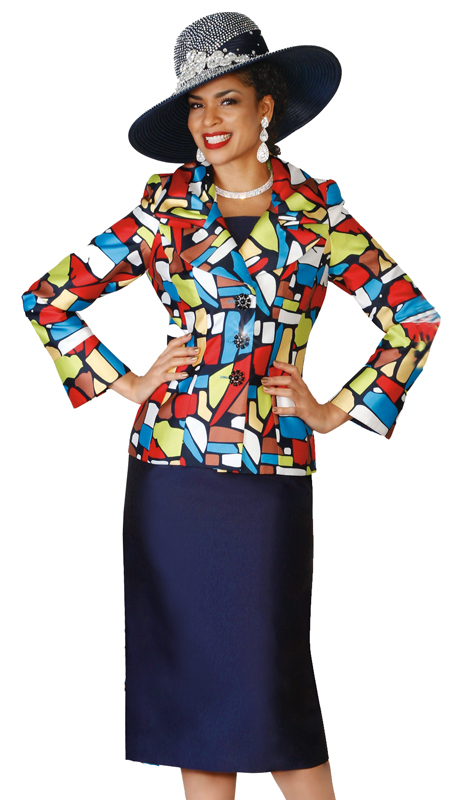 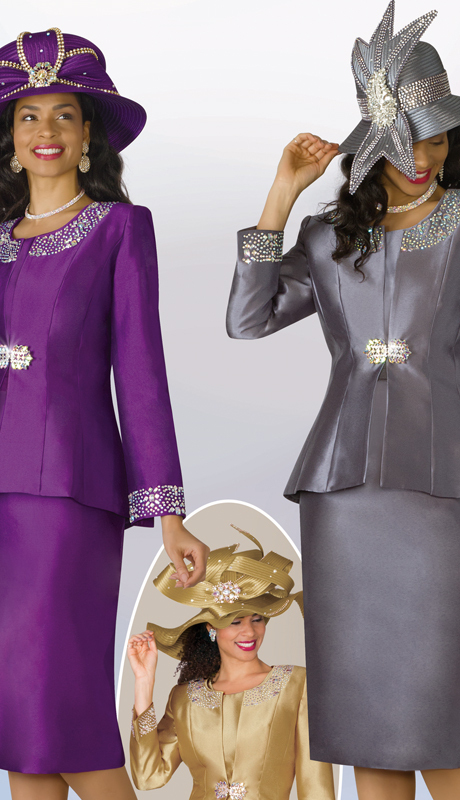 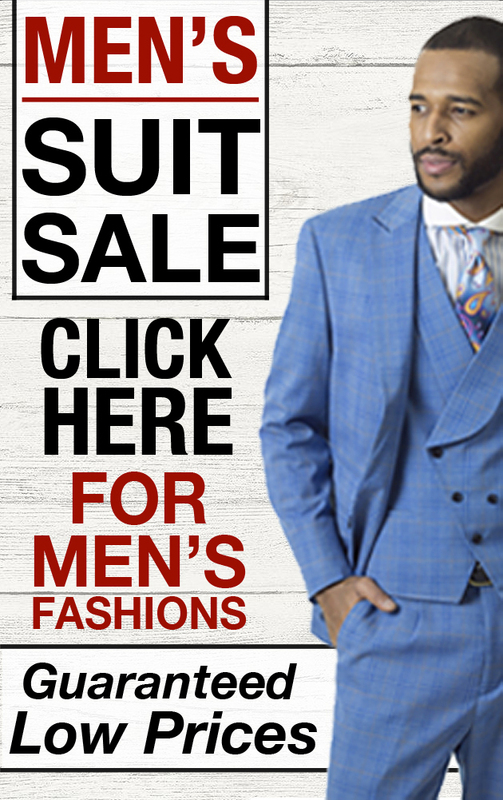 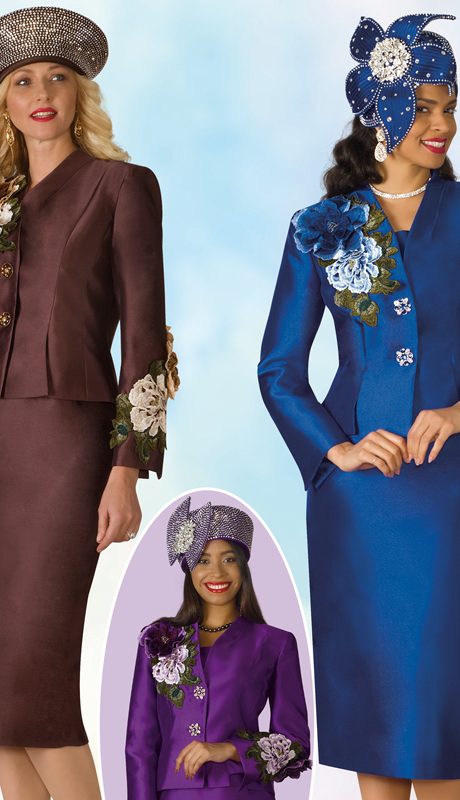 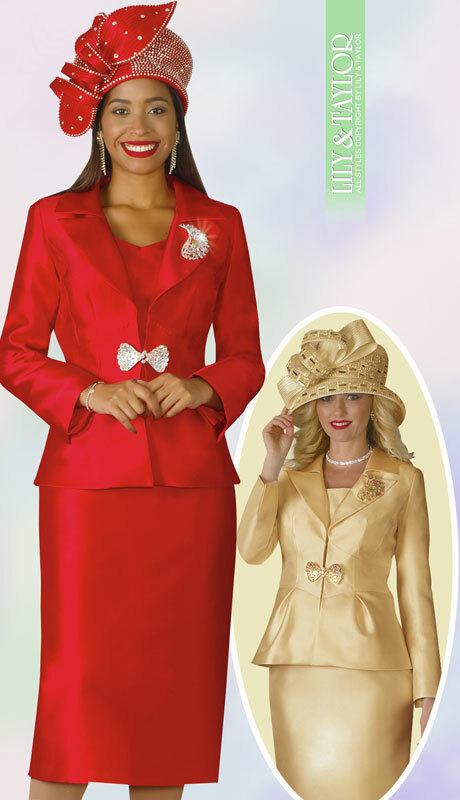 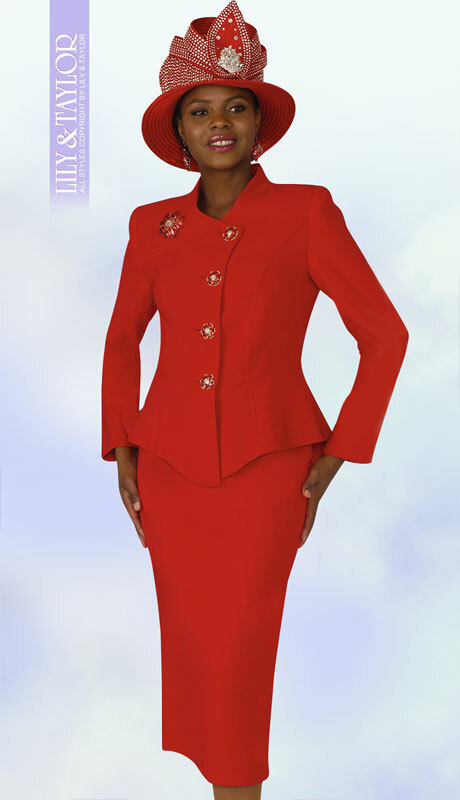 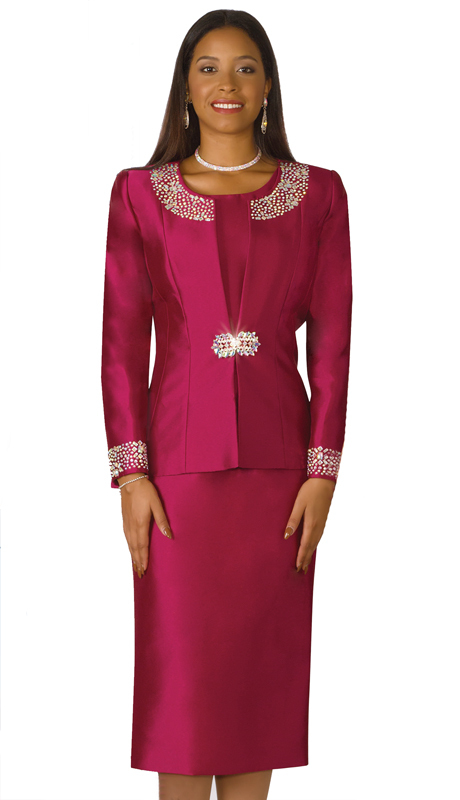 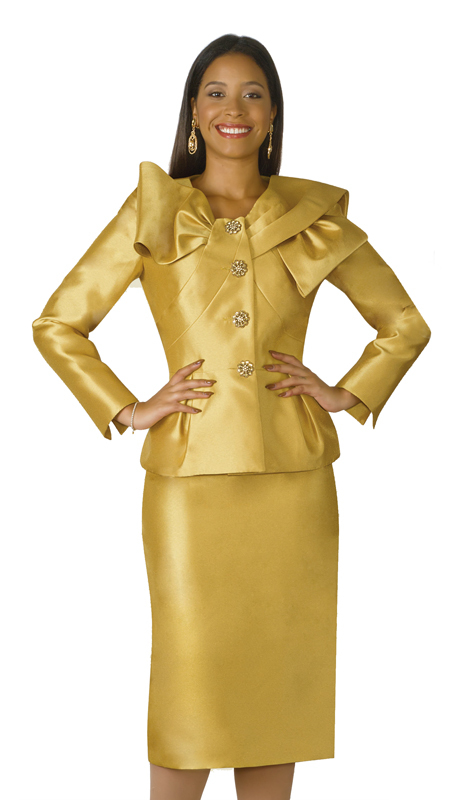 These premium quality church suits are perfect for any upscale occasion. 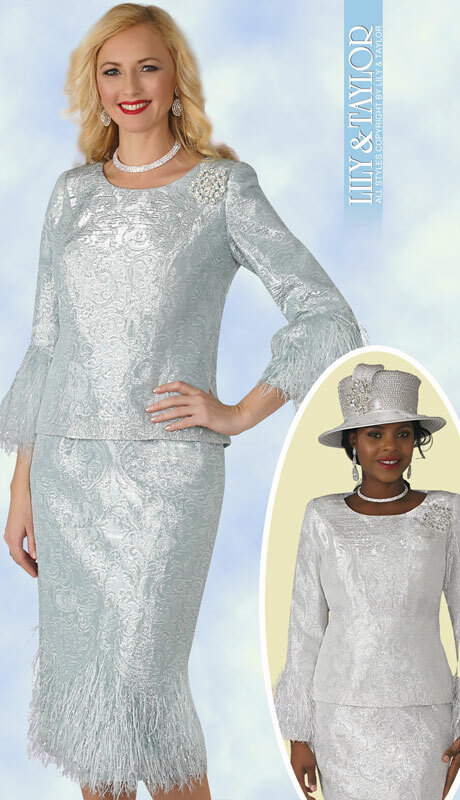 The grace with which a lady in Lily and Taylor carries herself will be nothing short of brilliant confidence. 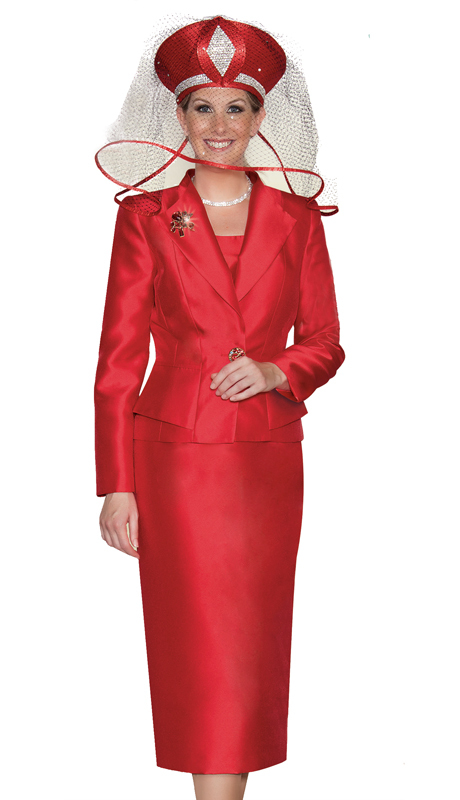 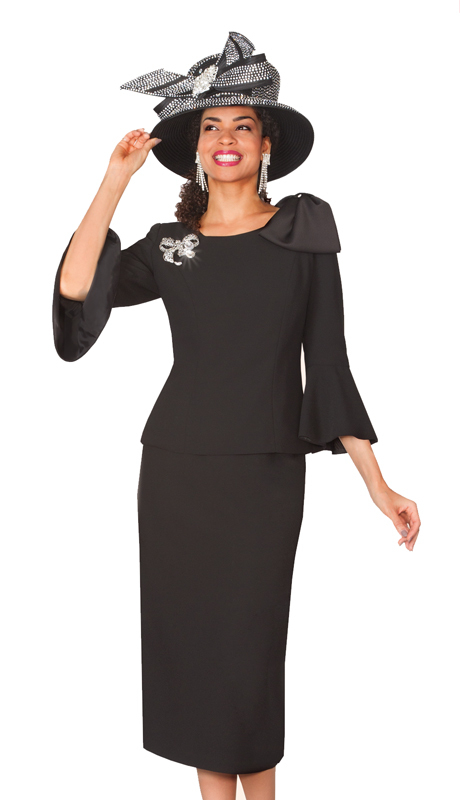 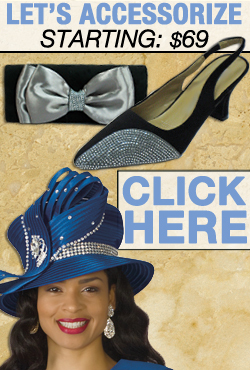 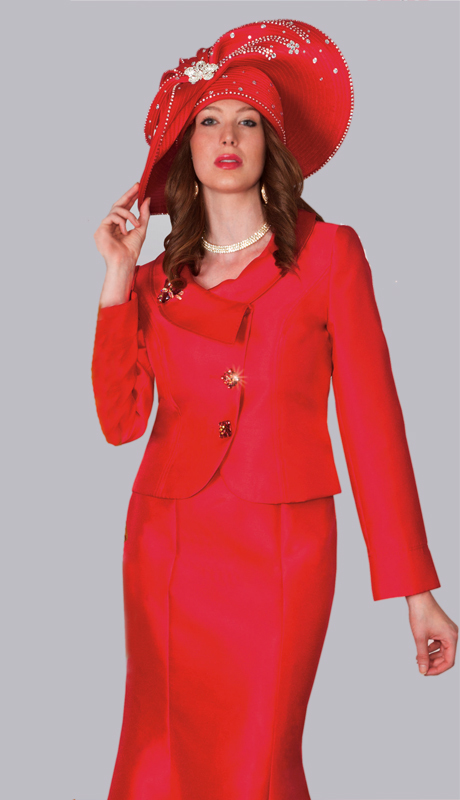 Also, For church many of our customers complement their suits with a fully hand beaded church hat to complete their extravagant look. 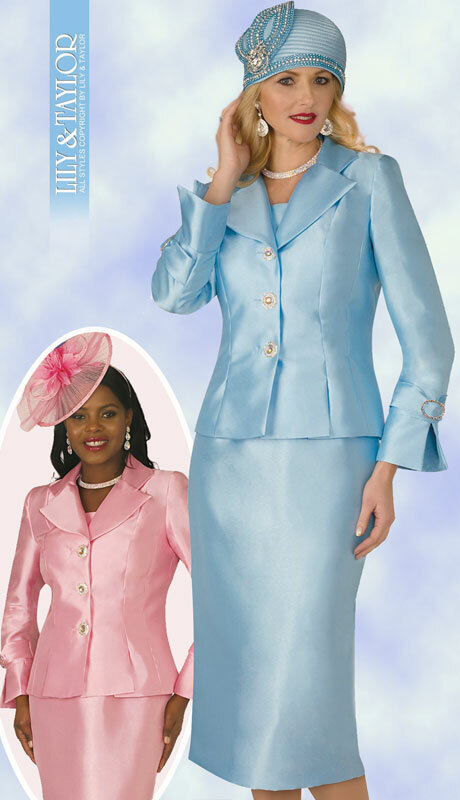 We Hope you enjoy the selections.